Subtitle: "How to Write Accurately About Criminal Law and Courtroom Procedure"
1. Trial and Error: Judicial System Basics, Before the Trial, Evidence, Witnesses, Burden of Proof, Appeals. 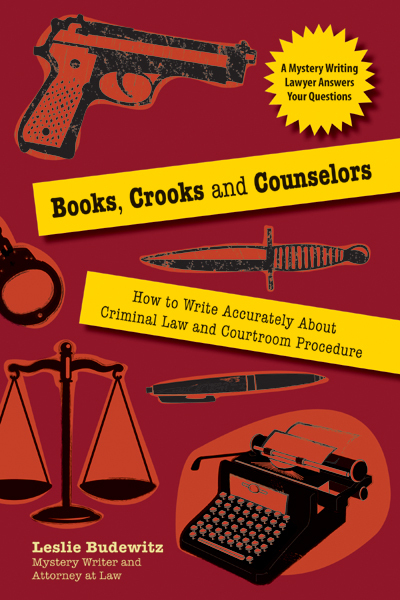 BOOKS CROOKS AND COUNSELORS MEDIA KIT available here in PDF.